Lawyers for President Donald Trump, seen here on Monday, are expected to ask special counsel Robert Mueller’s investigators this week if they need any more information before reaching a conclusion that the Russia probe as related to Trump is complete. WASHINGTON – White House lawyers are expected to meet with special counsel Robert Mueller's office late this week seeking good news: that his sprawling investigation's focus on President Trump will soon end and their client will be cleared. People with knowledge of the investigation said it could last at least another year – pointing to ongoing cooperation from such witnesses as former Trump campaign adviser George Papadopoulos and former National Security Adviser Michael Flynn, as well as a possible trial of two former Trump campaign officials. The special counsel's office has continued to request new documents related to the campaign and members of Mueller's team have told others they expect to be working through much of 2018, at the minimum. The latest salvo came last weekend, when a lawyer for the presidential transition accused Mueller of wrongfully obtaining thousands of emails sent and received by Trump officials before the start of his administration. In the meeting this week, they plan to ask Mueller's investigators if they need any more information before reaching a conclusion that the probe as related to Trump is complete, according to a person familiar with the Trump team's plan who requested anonymity to describe private conversations. The question that White House lawyers will pose to the special counsel's office, according to the person: "You're had all these witnesses, all these records. Is there anything else you need from the White House?" Trump's legal team has reassured him that it sees no evidence of collusion or obstruction in the records that it turned over, White House advisers said. While the lawyers have told the president that they expect the investigative team will have to continue its work related to former campaign chairman Paul Manafort deep into next year, as well as possibly Flynn, they said they believe Mueller should be close to wrapping up its focus on the current White House. Trump himself has expressed frustration with the probe but has shown optimism that it will not touch him. He told associates recently that he harbors no deep concern over the investigation and noted that his lawyers talk with Mueller's team regularly, according to a person who spoke with Trump last week and requested anonymity to describe a private conversation. When pressed by two advisers to take the matter more seriously and asked why he is so confident in his lawyers, Trump brushed off the concerns. "He is living in his own world," the person said, predicting Trump would erupt at some point in 2018 if the probe continued to drag on. But among people familiar with the probe, there is widespread skepticism that the special counsel's investigation is drawing to a close. Mueller's team was still asking questions about the firing of former FBI Director James Comey as recently as last week, one person said. Legal experts said that Mueller would have little incentive to clear the president or other White House aides while he is still seeking more information from witnesses. 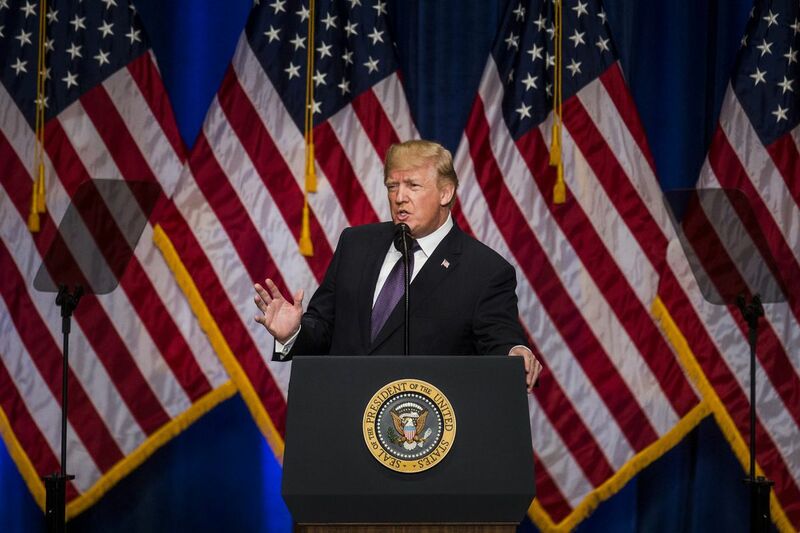 "Bob understands you can't have a president who is living this cloud of uncertainty," Corallo said, adding that he believes it is possible that the special counsel will at some point call Trump's lawyers and say, "We are done with the president. There is nothing there." "We are now beginning to understand the magnitude of the insider bias on Mueller's team," House Judiciary Committee Chairman Bob Goodlatte (R., Va.) said last week. Another member of the committee, Rep. Steve Chabot (R., Ohio), said Mueller and his team should wear "Democratic donkeys or Hillary T-shirts." A White House adviser said the president has enjoyed the attacks. In recent weeks, he has spoken to a number of Fox News hosts, Republican lawmakers, and others who have castigated Mueller's team, the adviser said. Trump's lawyers first learned Mueller had the emails earlier this month when witnesses were quizzed on the material. Some of the documents contained sensitive information that was not related to the Russia investigation, according to a person familiar with the material. The Washington Post's Tom Hamburger and Rosalind S. Helderman contributed to this article.